The prt file extension is associated with the File Breaker, an application for Microsoft Windows operating system that allows users to break files to a less size parts. The prt file stores a part of split data. File Breaker is an application for Microsoft Windows to break files to a less size parts and save this parts on different devices. Use File Breaker to work with *.prt files. Programs supporting the exension prt on the main platforms Windows, Mac, Linux or mobile. Click on the link to get more information about File Breaker for create prt file action. Programs supporting the exension prt on the main platforms Windows, Mac, Linux or mobile. 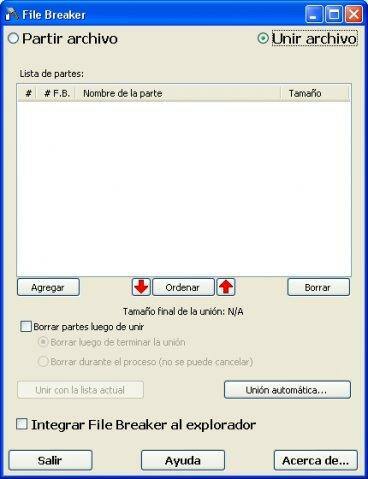 Click on the link to get more information about File Breaker for extract prt file action.